Orange is the new spandex. 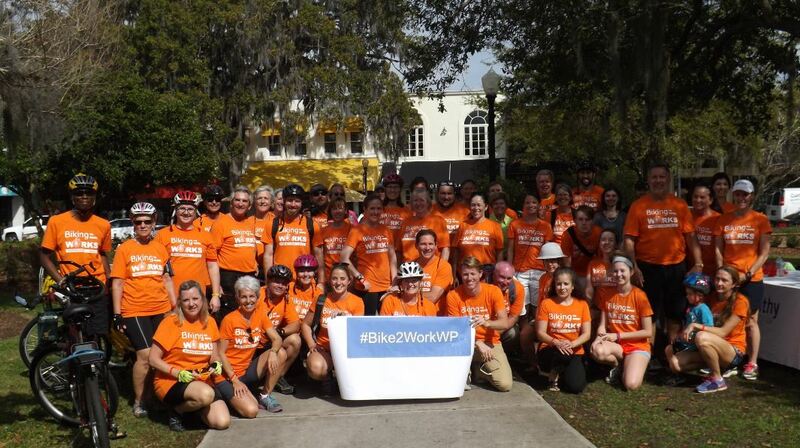 That was the talk around wild Winter Park when residents, shop owners, and visitors spotted the sea of orange cyclists cruising the city streets for the first official Bike to Work Day, dubbed “Biking Works” a few weeks ago. After the two-wheeled ride, folks celebrated with a healthy happy hour at Boca on Park Avenue and shared biking stories. A big thank you to the event supporters: City of Winter Park, Winter Park Bicycle Pedestrian Advisory Committee, Healthy Central Florida, Winter Park Chamber of Commerce, and Park Avenue Merchants Association. Check out Healthy Central Florida’s video of the event.